Murray has worked at nearly every major professional theatre in New Zealand since he began his career at Four Seasons Theatre in Whanganui in 1973. At age twenty-two he was appointed Associate Director of Centrepoint Theatre in Palmerston North, and Artistic Director three years later. This was followed by a stint as Associate Director at Auckland’s now defunct Theatre Corporate. While still in Auckland he formed a theatre-in-education company called Spare Parts and took the position of Artistic Director of the Maidment Arts Centre at the University of Auckland. He was founding director of Tantrum Theatre Company which was widely acclaimed. 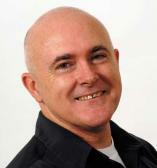 Murray moved to Wellington in 1989 and became Associate Director at Downstage Theatre. In 1993 he moved to Toi Whakaari: NZ Drama School to tutor and later head the Acting and Directing Programmes, a position he held until his appointment as Director of Downstage in 2000. He held this position for six years. In 2007 he graduated with a Masters in Theatre (with distinction) from Victoria University.